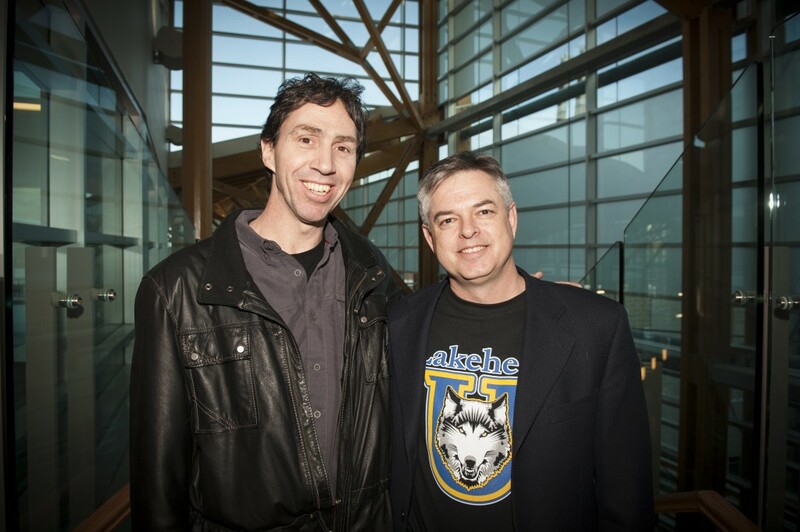 Dan McGann and I met (virtually) over two years ago and finally we’ve met face to face here in Thunder Bay. Dan is a social worker out of Credit Valley Hospital who created the Run Group Therapy Program which provides teens with a unique approach to coping with depression. Incredible, powerful, effective and simple are some ways to describe this “therapy.” I encourage you to learn more and to contact Cameron Helps to ask for your starter kit. Dan spent three very busy days presenting the Run Program to organizations and professionals in Thunder Bay who are now very anxious and excited about putting his motivating words into action. I look forward to watching how everything unfolds. For more information on the Run Therapy Program pleas click here. If you have taken part in the Run Group Therapy Program I invite you to share your comments. For those of you who had the opportunity to see any of Dan’s presentations while he was in Thunder Bay I also invite you to share your thoughts and comments. Thanks Dan for sharing your incredible program in our community. This entry was posted in Blog, Presentations and talks, Uncategorized by Scott Chisholm. Bookmark the permalink.